Add the water to the corn flour to make a smooth paste; keep adding a little at a time until you have mixed all the water in. Whisk the cornflour, water and sugar together over a medium heat, continuously stirring. When the mixture has completely thickened, stir in the lemon juice and zest. Transfer to a suitable storage container and allow to cool (with the lid removed) at room temperature. Cover and store in the 'fridge. Is a delicious for breakfast but also makes a good Lemon and Ginger Not-Cheesecake topping or filling for Jam Tarts! If the mixture doesn't appear to thicken, add a little more cornstarch and cook further. 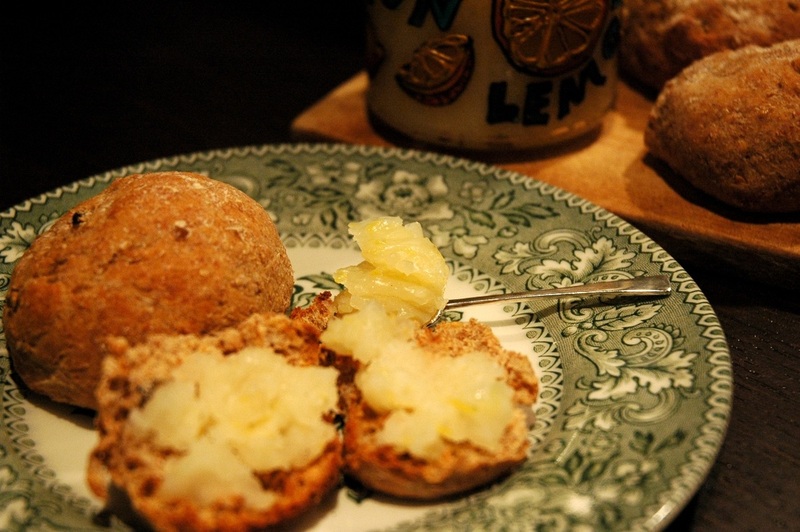 If you're feeling adventurous, serve with an home made Flavoured Bread!